Recommend this to your friends. Provide comfort for the family of Kenneth Parson with a meaningful gesture of sympathy. Kenneth (Kenny) Lynn Parson, Jr. 57, of Athens passed away unexpectedly on Sunday, February 10, 2019, at Starr Regional Medical Center as the result of a stroke. Kenny was a native and lifelong resident of Athens, the son of the late Kenneth and Frieda Parson. He was a graduate of McMinn County High School and earned a bachelor's degree from East Tennessee State University. For the past thirty-four years, Kenny worked at Bowaters-Resolute. He was a member of First Baptist Church of Athens. Kenny would light up a room with his wit and humor and was fun to be around. He enjoyed all things outdoors: hunting, fishing, snow skiing and photography. A gifted musician, Kenny loved playing the guitar and harmonica. He had a tender heart and cared deeply for his family and friends. He was called home far too soon, and will live forever in the hearts of those who knew and loved him. Survivors include two sisters and brothers-in-law, Kim and Debo Toomey of Athens, Missy and Blake Walker of Ringgold, Ga. Five nieces, Holly (Nathan) Matney of Knoxville; Heather (Justin) Beaty of Athens; Hannah Toomey of Athens; Sarah Vanderslice of Ringgold, GA; Taylor Walker of Chattanooga, one nephew Tyler Walker of Chattanooga, long time girlfriend Lisa Coleman of Athens, and step-father Troy Sisson of Athens. At Kenny's request, there will be no formal visitation and a private ceremony will be held later with the family. Memorials can be made in Kenny's name to St. Judes Childrens Research Hospital Tribute, P.O. Box 1000, Dept. 42, Memphis, TN 38148-0142; Alzheimer's Association NE/SE TN Chapter, 7625 Hamilton Park Drive, Suite 22, Chattanooga, TN 37421; or a charity of your choice. 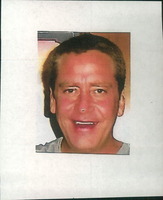 To send flowers in memory of Kenneth Lynn "Kenny" Parson, please visit our Heartfelt Sympathies Store. Private service for the family will be held at a later date. We encourage you to share your most beloved memories of Kenneth here, so that the family and other loved ones can always see it. You can upload cherished photographs, or share your favorite stories, and can even comment on those shared by others. Provide comfort for the family of Kenneth Lynn "Kenny" Parson by sending flowers. Haven't seen Kenny since high school and hate to hear of his sudden passing. Prayers to his family. We were so sorry to hear of Kenny's sudden passing. Kenny was a wonderful neighbor to our parents and we so appreciated his kindness to them, especially in their later years of life. Momma said more than once Kenny had told her she could call him any time she needed him and she was very comforted by knowing he was close by once she was alone. Please accept our sincere condolences and eternal gratitude for the blessing he was to our parents.